← E no palco principal, a favela! And in the main ring, the favela! Has anyone ever calculated the total number of people who have ever lived their whole lives in a favela? Since the first one, here in Rio, on the Morro da Favela, occupied in 1897? It’s surely more than six million. Not that living under constant threat to one’s health, physical safety, mental balance, etc., is comparable to the Holocaust. But we are talking about generations of people who lived in ghettos. People long on the margin, limited in their capacity to fulfill their human potential. Today, one in five cariocas lives in a favela. This is why we had two big pieces of news this week. First, Governor Sérgio Cabral announced plans to spend US$ 100 million (US$ 70 million of which come from an IDB loan) to serve 40,000 young people in pacified favelas by 2016. According to the O Globo newspaper, “The work includes psychological services, job orientation and help for young people returning to school… The idea is to create spaces for youth, to fund groups that will track residents aged 15 to 19”. How much will their daily life change? Many will say that all this attention is because of the Olympics. So what, if it actually happens? 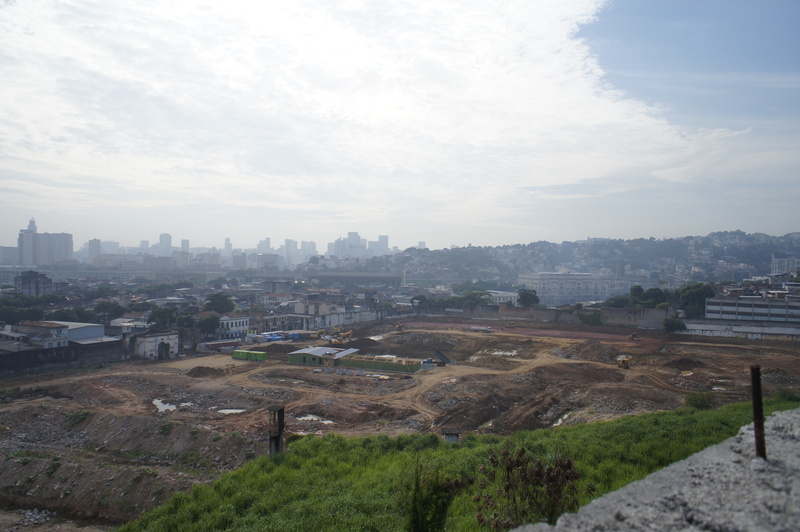 Behind this affirmation is distrust dating back over more than a century of exclusion: if it’s the foreigner’s eye that is pushing non-favela cariocas to meet the needs of favela cariocas, how much can one rely on the quality of the attention? People who live in favelas tend to gather in doorways, on stoops and stairs. They know their neighbors and depend on their help. They attend community events and party in the street. Pressed for time in the 1950s in the U.S. Except that the athletes, diplomats, advertisers, tourists, officials and journalists are already arriving. Even the Pope is coming. Or do favelas have something worth preserving? The concept of community, after all, is central to a fully functioning democracy. The hurry is there in the goals for 2016, and also in the way people are relocated when necessary. Those who go through the process complain of confusing information and lack of respect. At least a certain amount of negotiation takes place, even if it’s inefficient and not very transparent. The authoritarian style of some aspects of Rio de Janeiro’s transformation inspires distrust. There’s a reason why the first headlines about the new strategic plan emphasized the reduction in favela territory. One immediately wondered which ones, where, and how? There are other doubts. Who defines at-risk areas, and how can one be sure the term isn’t being used for ends other than protecting citizens from natural disasters? How to insure the quality and durability of the apartments where thousands of cariocas will live? Who’ll pay for maintenance? How to guard against favela gentrification, and the impoverishment of residents who’re paying light bills for the first time? What happens to those who leave more central areas for cheaper parts of the city? 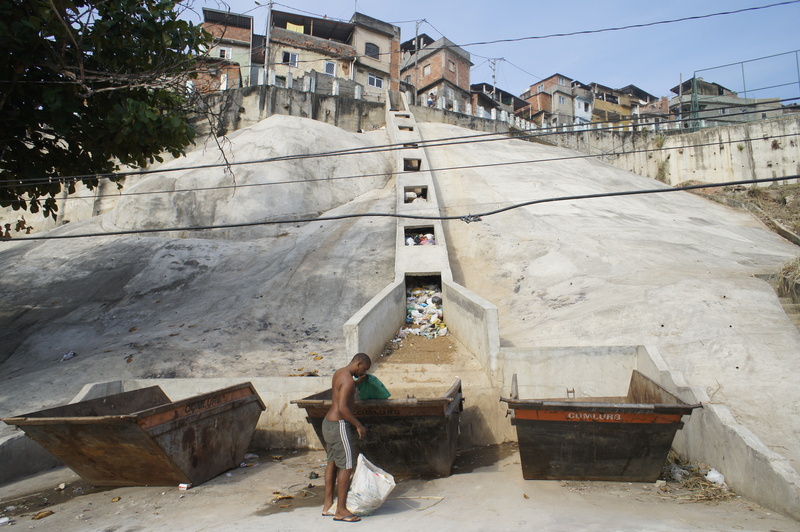 And where is the public debate on the needs and dreams of pacified favela youth taking place? In the post-war period, industrial countries were also in a hurry. For several reasons, soldiers returning from World War II didn’t go live on hills, as did veterans of the Canudos War. Nor was this the case for black families migrating from rural areas to large American cities. For many of these, the solution was the construction of enormous housing projects– that became enormous problems by the 1970s. Jane Jacobs, Sérgio Magalhães recalls, the wise author of the classic The Death and Life of Great American Cities (published in 1961) said that economic development isn’t always the good city’s partner. “Sometimes, economic growth leads to urban loss. Because money is abundant, easy money suggests great powers, that anything is possible… in a way here we’re living a period [like the 1950s in the U.S.], that anything is possible. It’s not true,” Magalhães concludes. This entry was posted in Brasil, Brazil, Transformation of Rio de Janeiro / Transformação do Rio de Janeiro and tagged community Rio de Janeiro, Eduardo Paes, favela, favela culture, favela Rio de Janeiro, IDB loan Rio de Janeiro, Jane Jacobs, Morar Carioca, Morro da Favela, Sérgio Cabral, Sérgio Magalhães, strategic plan rio de janeiro, youth programs Rio de Janeiro. Bookmark the permalink.